Don't travel without protection for your most valuable writers and the ink that goes inside. 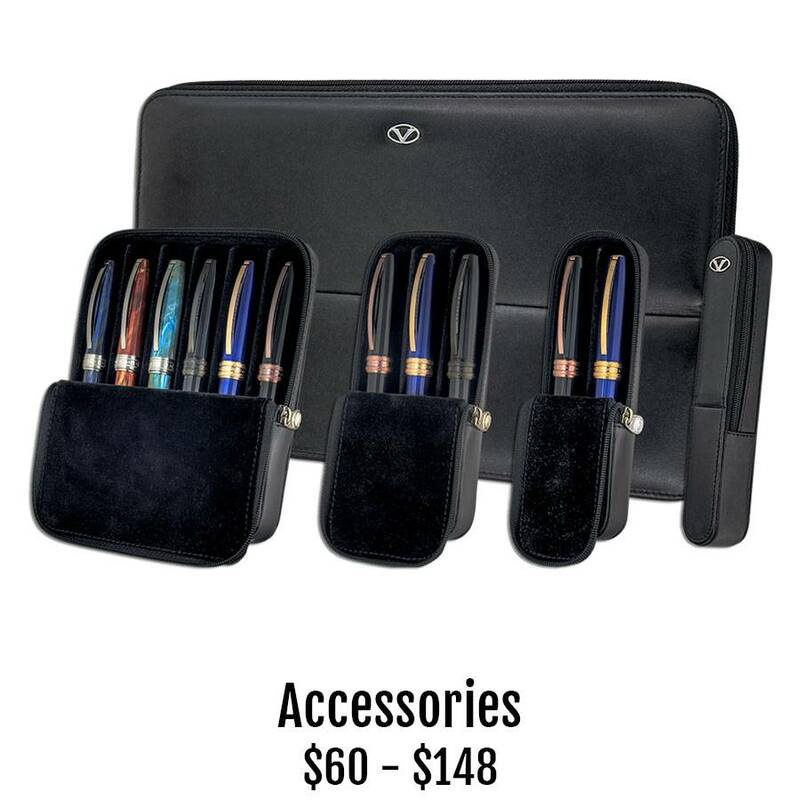 Insure your writing instruments get the protection they deserve with these zippered pen cases from Visconti. Choose from one, two, three, six or twelve slots in black Italian leather. The Visconti Ink Pot keeps your fountain pen ink safe and easily refilled while on the road.